Take your best shot in the Muddy Boss Hawg 1.5-man Ladder Tree Stand! 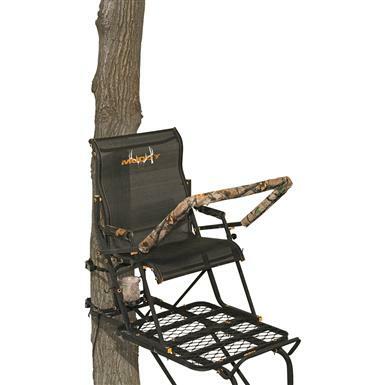 This durable Tree Stand is made from 100% steel and features a Fiber GuardTM coating that protects against rain, snow, and other nasty weather. For all-day comfort and support, the Boss Hawk 1.5 comes equipped with a wider Flex-Tek Zero-Gravity seat that contours to your body and flips up for standing shots. 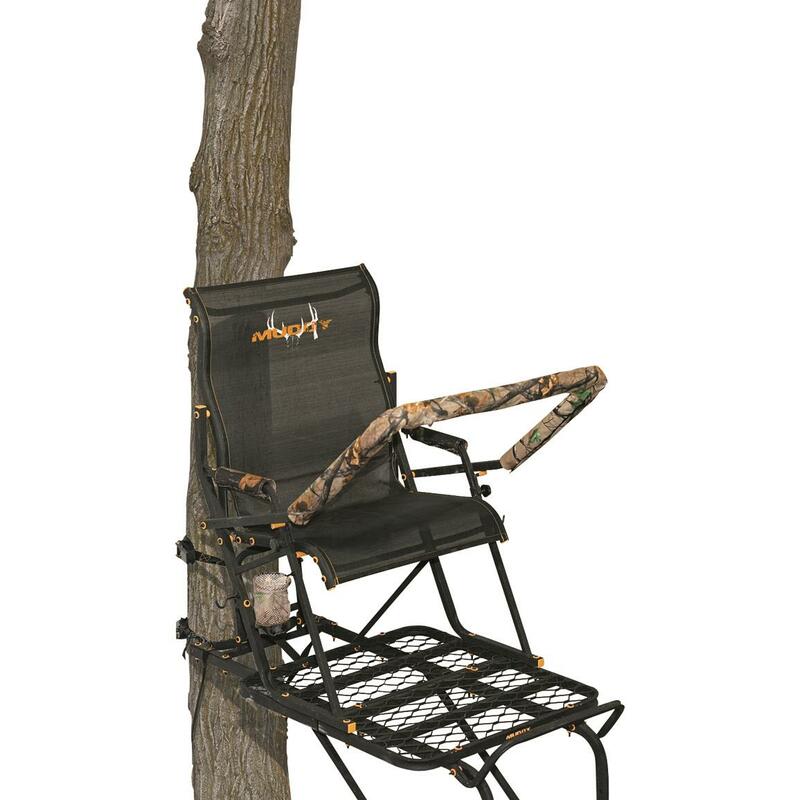 Plus, its large foot platform gives you plenty of room to stretch out and get comfy while you're waiting out that elusive buck. Platform Dimensions: 28"w. x 30"d.
Seat Dimensions: 25"w. x 17"d.
Backrest Dimensions: 25"w. x 27"h.